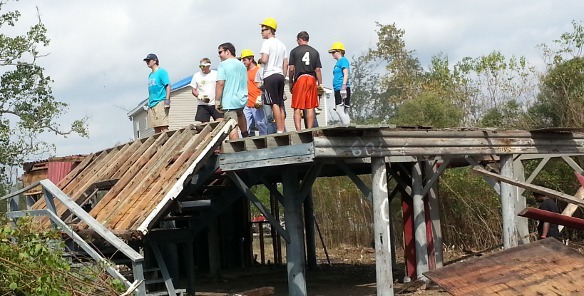 Fifty students from Mercer University’s Baptist Collegiate Ministry spent their 2012 fall break on the Mississippi Gulf Coast. They enjoyed a very productive Mission / Retreat trip. 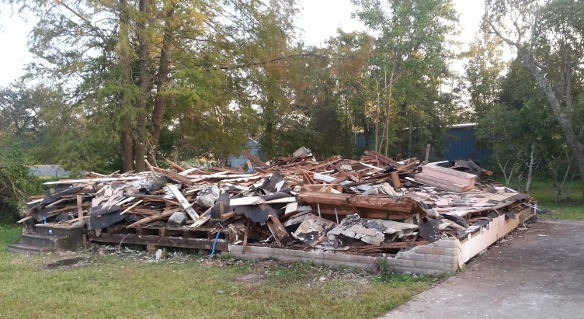 The energetic students demolished two Katrina blighted homes in Bay St. Louis. As soon as boots hit the ground on the first property, their leader, Chris Fuller, called a pow-wow with the engineering students to devise the best line of atack. 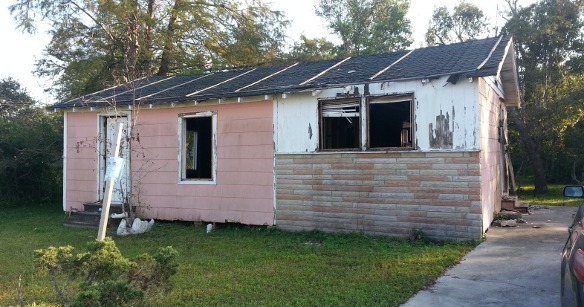 Seven years of growth surrounded the dilapidated house that sat atop piers in the Garden Isle community. The undaunted team tackled the undergrowth to give themselves some working room and then turned their sites on the structure itself. With safety as their first concern and fun as their second, they labored together as a living illustration of Colossians 3:23 “”Whatever you do, work heartily, as for the Lord.” The strategy, team work, energy, and God glorifying attitude saw the task completed in an amazing short order. With one project under their belt, they turned to a second. 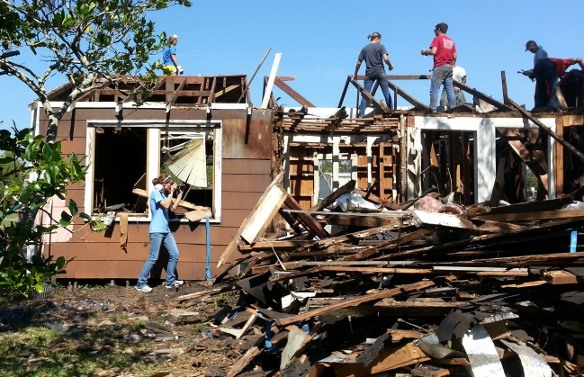 Earlier this summer, a crew of teenagers from Louisiana gutted and prepared an area home for demolition. 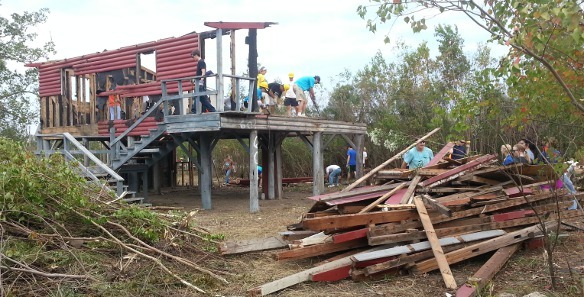 The Mercer students finished the task by dismantling the structure piece by piece. The appreciation level of local residence continues to run high as folks from across the country refuse to forget about the Mississippi gulf coast.